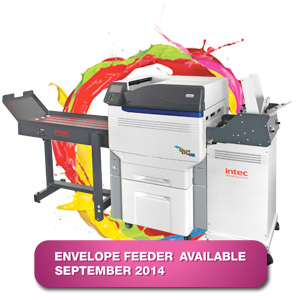 Includes the professional envelope feeder, designed for commercial envelope printing applications. Utilising a professional continuous/uninterrupted top loading envelope hopper, which feeds the printer from the bottom of the stack ensuring you can refill the envelopes as you continue to print. Supplied with companion Intec shingling conveyor featuring a variable overlap facility for all envelopes and standard sheet fed print. 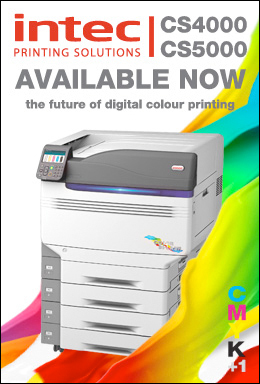 Available with standard 4 colour imaging configuration or 5 colour imaging configuration.